Add a bold finish to your dress with Emilia Bead Bib Necklace. It is beautifully adorned with hot pink beads, gold-tone chains and entwined thread, demonstrating your understanding of accessorising. 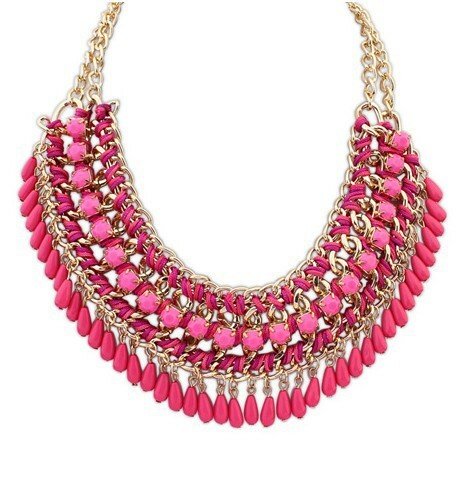 Order a couple of our statement necklaces to qualify for a free bonus bling gift.